Give your Samsung NX3000 camera a touch of elegance, while also protecting it from dirt, scratches, and bumps with the Ever Ready PU Leather Case and Strap in gray from MegaGear. This two-piece case provides easy battery access and includes a top and a bottom, as well as a matching shoulder strap. The bottom may be used independently as a half case and attaches to the built-in tripod mounting screw. This screw is threaded on the bottom for convenient tripod usage without having to remove the case. 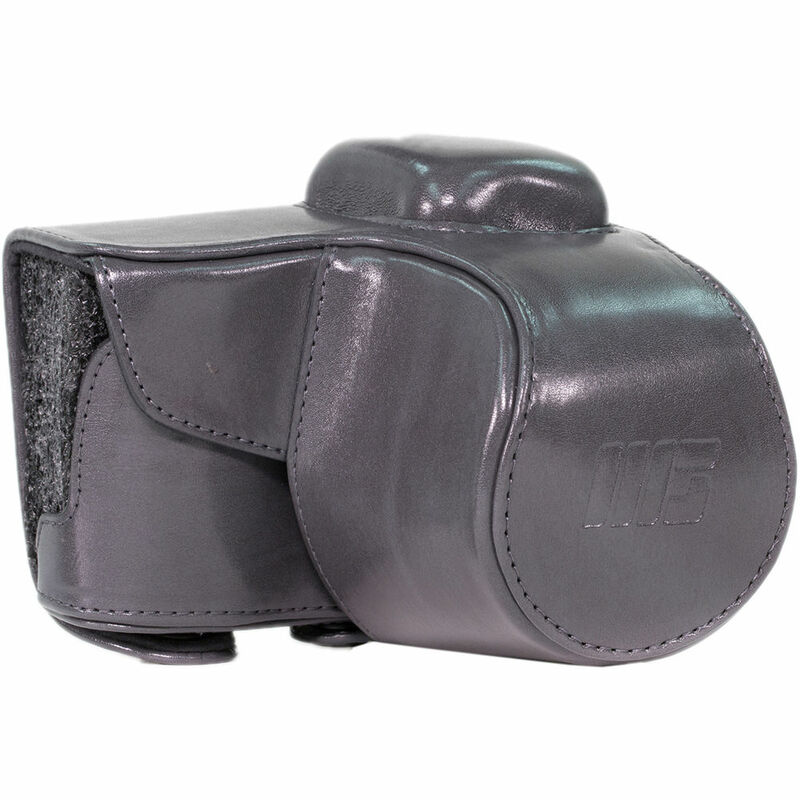 The top piece completes the all-around protection and attaches with snaps. For style, this case has attractive stitching reminiscent of old world craftsmanship, and the soft, padded interior helps protect against scratches.